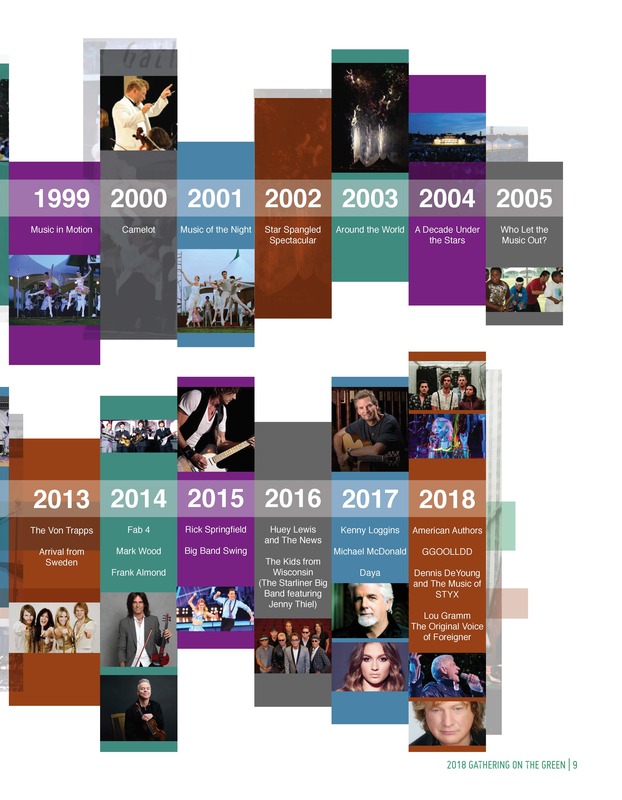 Since 1994, Gathering on the Green, a 501(c)(3) non profit, has grown to become one of Southeastern Wisconsin’s premier summer spots to enjoy the world class entertainment. Set in scenic Mequon Rotary Park, the multiple day festival offers the opportunity to enjoy the best musical entertainment, local food trucks and beverages while gazing under the summer stars. 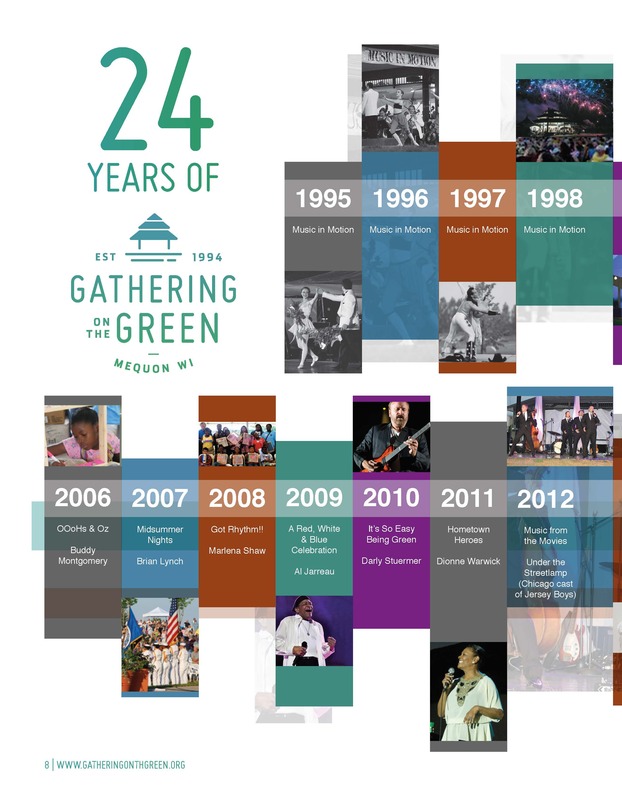 Gathering on the Green’s vision is to serve our community by providing memorable experiences through top musical entertainment. Part of the community...for 25 years. Twenty five years ago, Gathering on the Green came to life. The Thiensville-Mequon Rotary Club had just built a beautiful multi-use park including sports fields, a wooded walking area and a gazebo surrounded by ponds. They wanted a grand opening of the gazebo, befitting such an elegant structure. John Riley, a Rotary Club member, recalled memories of the Boston Pops playing outdoor concerts on the Esplanade in Boston and thought a similar concert would be a perfect opportunity to inaugurate the gazebo. He later joined forces with Milwaukee Ballet prima ballerina Anne Finch to promote a combined performance with the Milwaukee Symphony Orchestra and the Milwaukee Ballet--something that had never been done before. They formed a steering committee, recruited leadership teams and had many years of planning and perseverance to bring the program to fruition. On July 8, 1995 the first Gathering on the Green was performed; it was called "Music in Motion." 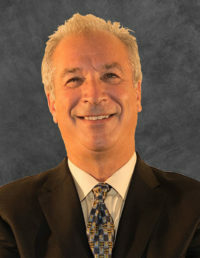 Greg Heitz - President - Exacto Spring Corp.
Angela Romersi - Treasurer - Scribner, Cohen & Company, S.C.